I was recently contacted by Sun Basket to try out their meal delivery service and am excited to share my experience with all of you. Please know, the thoughts expressed in this post are my own and even though I received a complimentary Sun Basket box to test out, I was not compensated in any way to write this review. Sun Basket is a new healthy meal kit service that delivers organic ingredients and delicious, easy-to-make recipes for cooking at home. Sun Basket makes it easy to cook healthy, with Paleo, Gluten-free and Vegetarian options, plus healthy breakfasts. 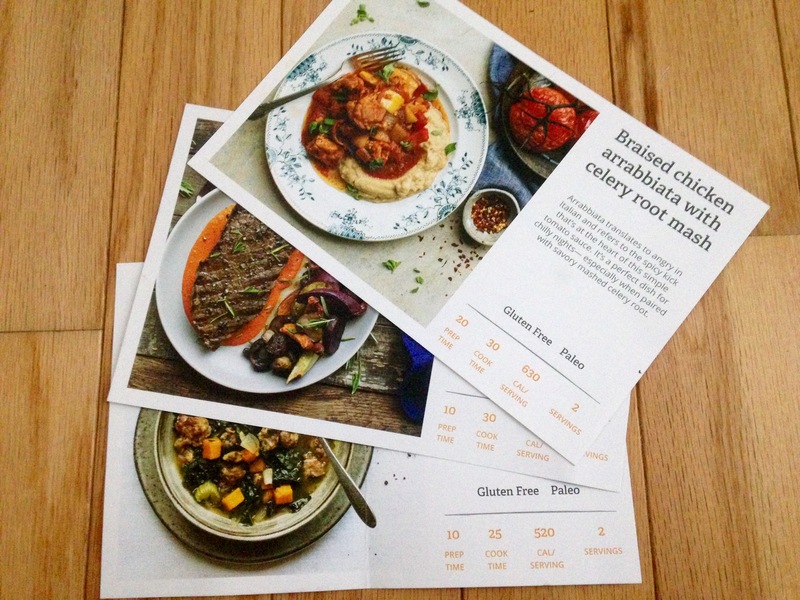 Get 3 recipes per week for 2, 4 or 6 people, delivered to your door in recyclable packaging that can be shipped back – free- for reuse. 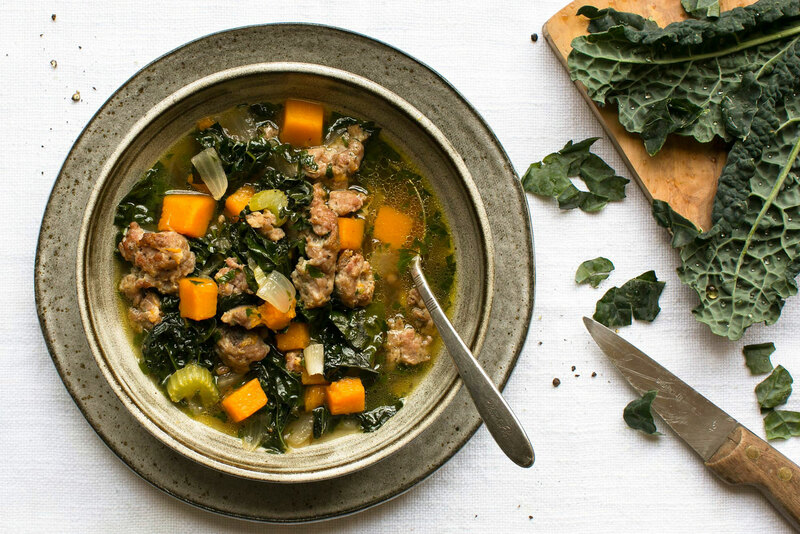 Recipes are created by Executive Chef Justine Kelly, formerly head chef at James Beard award-winning restaurant The Slanted Door in San Francisco. 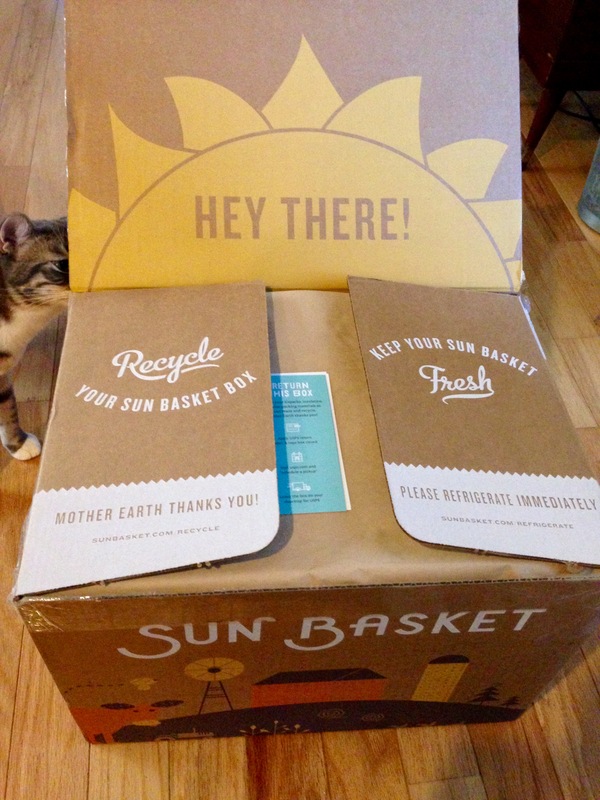 My kitty, Frankie, was curious about the Sun Basket box. Naturally, I opted for the paleo meal options, which included kale, butternut squash and Italian sausage soup, braised chicken arrabbiata with celery root mash, and steak with purple sweet potato and roasted red pepper sauce. 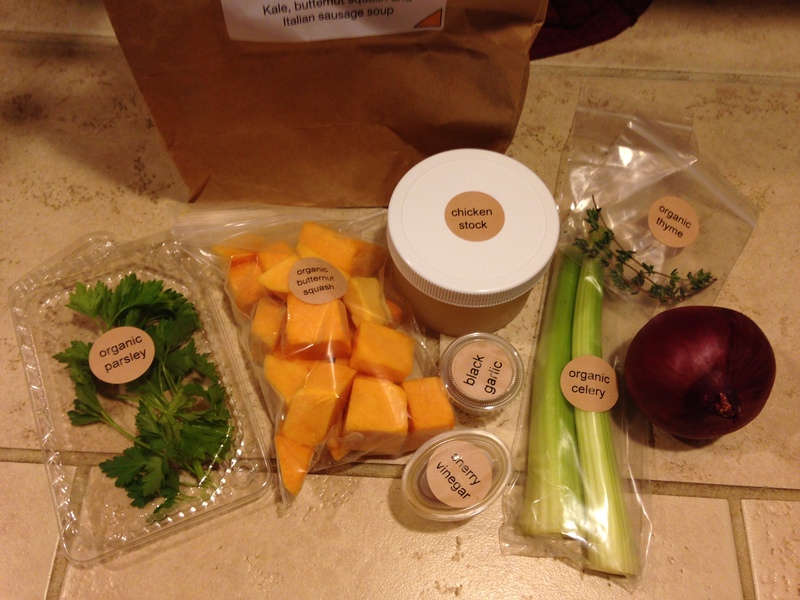 This is the first time I’ve ever experienced a meal delivery service and I must say, it was awesome. Everything was delivered in one organized box and it was all fresh! Ingredients were already measured out for recipes and in individual bags (meat was separate though), so it was easy to keep track of everything. All the recipes were delicious, especially the soup and chicken arrabbiata. We were actually surprised how incredible they tasted — even better than we imagined. I’ve actually made the soup again on my own since then. The sweet potato and steak meal was alright, but we both had a lot of grizzle on our sirloin steaks, especially Jesse. I think it would have been better with a different cut of beef. The roasted sweet potatoes and mushrooms were great though. I can totally see myself using this service again. I enjoy cooking and creating on my own, but this is so handy and a nice break from having to think about what I’m making for dinner. It’s also great for getting new and easy recipe ideas. For those of you with extra busy schedules, lack of direction or motivation in the kitchen, not knowing what to eat, poor cooking skills, etc., I highly recommend trying this out. Sun Basket makes it so easy. And, it’s good! The meals actually look like the pictures too! Interested in trying Sun Basket for yourself? Visit HERE to learn more and sign up now to receive $30 off your first box! For more information, please visit https://sunbasket.com/home or Facebook, Instagram, Pinterest or Twitter. Awesome. I must say, I’m envious!